More than just bottled water; It’s a unique business card, souvenir, conversation starter and collectible. The City of Daytona Beach has been providing outstanding water to residents for more than 100 years. 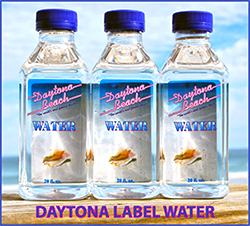 In 1999, the city began bottling its award-winning water as a way to promote the greater Daytona Beach area and its businesses. Now our delicious water, packaged in unique, 20-ounce square bottles, is available for sale to the public. 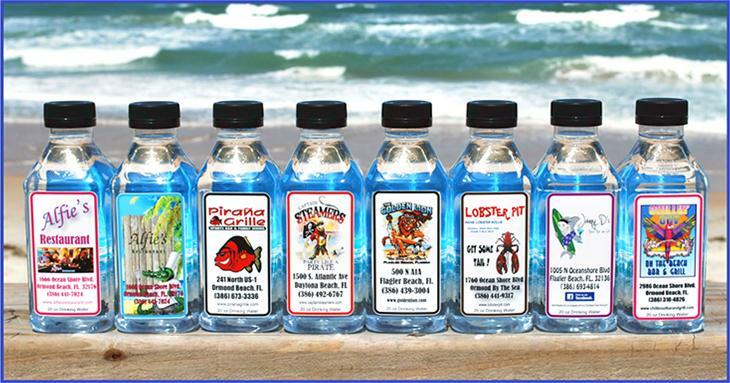 Bottles, which are 100% recyclable, are sold by the case with a standard beach scene, but can be created with custom labels. Whether it’s to promote a business, a special occasion or a personal milestone, our in-house design professionals can custom create an attractive label. Unlike most commercial bottled water companies, municipalities are required to meet strict EPA public drinking water standards. Our bottled water is further purified through reverse osmosis and carbon filters to remove chemicals such as chlorine. Each production run is tested by the on-site certified laboratory. We aren’t the only ones who think our water is the best. Water experts agree. Daytona Beach’s water was named the best tasting water in the world at the 21st annual Berkeley Springs International Water Tasting Competition in West Virginia. The Berkeley Springs contest is the largest and longest-running water tasting competition in the world. Daytona Beach’s tap and bottled water consistently ranks high in this annual competition. It’s easy to take the quality of your drinking water for granted. Please know that the City of Daytona Beach doesn’t. We continually monitor its quality to ensure you’re getting the best water in the state, country and world. Bottled water is sold by the case, and each case contains 24 - 20 ounce bottles. Free local delivery is available with a 10-case minimum order to Ormond Beach, Holly Hill, South Daytona and Port Orange. To qualify for free delivery to other areas of Volusia and Flagler, there is a 20-case minimum order. Orders can be submitted through email, by phone at (386) 671-8874 Monday through Friday 7:00 am to 3:30 pm, or by our convenient online form. 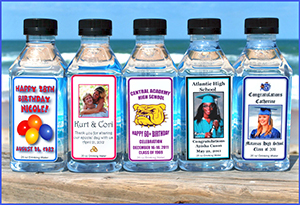 All custom labeled water must be pre-paid prior to printing and production. Production time requires 5 to 10 business days after the label design is approved and payment is received. The first hour of set-up is free (most labels required less than one hour to design and set up); $75 per hour applies thereafter.